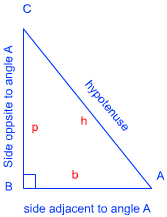 If sin, cos or tan ratio are calculated for angle C, then values for p, b and h shall change accordingly. 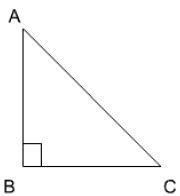 Question – 2 - In the given figure, find tan P – cot R.
Question – 3 - If sin A = ¾, calculate cos A and tan A. Question – 4 - Given 15 cot A = 8, find sin A and sec A. 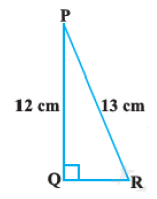 Question – 5 - Given `text(sec θ) = (13)/(12)`, calculate all other trigonometric ratios.